This is the first power bank I've used in a long time for extended use and therefore my expectations were neutral purely on the basis I had nothing to benchmark it against. I received the item around three weeks ago and since then I've used it several times a day, both at home and at work and also whilst socialising in order to get the best overall experience. First up, packaging - Anker never lets the side down here, with its familiar and no nonsense blue and white box containing the charger, a USB C to USB C cable, USB A to Micro USB, a carry pouch with a net like construction, plus the usual happy/not happy card and user guide (which has English translation in addition to what appears to be Chinese??). I was disappointed there was no compatible wall charger included - at the price I really would have expected this but I managed to find a compatible Microsoft 3 amp charger which could make most of the Power Delivery (PD) fast recharging, to enable the power bank to be refilled once empty. With this out of the way, let's move on. It should come as no surprise the 20000 PD looks just like any other power bank, there's not much you can do to alter how they look - but the rounded edges and bomb proof build quality makes up for any lack of finesse as far as looks are concerned. Up on the top edge is a USB C port and USB A output, both of which use the Power Delivery charging technology to pump out rapid charging to compatible devices. Across the width of the PD are 4 blue LED’s which denote remaining capacity in 25% increments, to the left of this on the side edge is a power on/off button should you wish to pause or resume charging. The built is tough plastic (which will scratch so be careful how this is stored), but the whole package is very well made and feels solid. I tested it with a Galaxy S7, Xiaomi Mi A1 and an iPhone X (using the USB C to lightning cable) and it charged all in a little over an hour - very impressive. Even better, it charged my OnePlus 3T pretty quickly too, even though the phone defaults to 1.5A when not being charged via its proprietary Dash Charger. I also used it to recharge portable speakers, Vape Sticks (?! 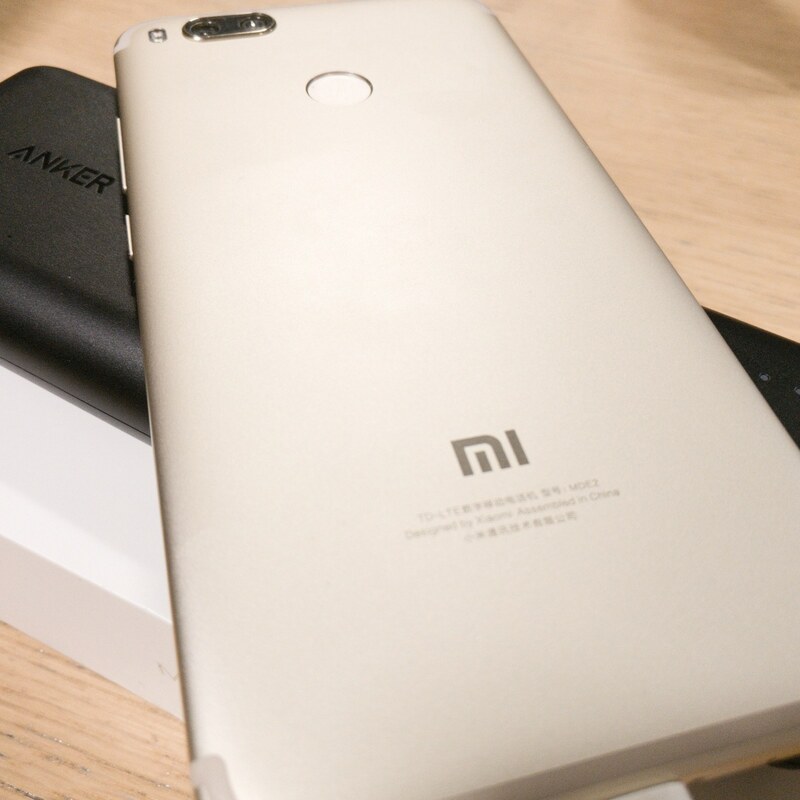 ), Xiaomi Candela Bluetooth lights, Camera gimbals, controllers and even charged another power bank just for the hell of it! Recharging the 20000 PD was a chore at first, as it came without a wall charger capable of taking advantage of the PD fast charging (for reference, you will need a charger capable of 3.0 Amp output - I bought a Microsoft Lumia 950 XL one from eBay and this works perfectly). With a normal wall charger it took almost THREE DAYS to recharge the 20000 PD. Whilst I appreciate this has a very large capacity, you can imagine my surprise and dismay at this! In comparison to the older RAV Power portable power bank (which is also 20000 mAh), the obvious advantage is the slimmer form factor and the rapid charging output. Even without rapid charging, the 20000 PD delivers powerful and consistent (this is the important part as there are no fluctuations in the output) charging for anything which accepts Micro USB or USB C. I did try the charger via USB C to USB C using an LG Nexus 5X and the rapid fast charging worked right away. This would benefit pretty much anyone of any age – it is so useful for a variety of devices and is light enough to be carried in coat pockets (whilst it can go in your jeans/trousers it makes its presence known with its weight!). Its rapid charging is really impressive and is consistently good each and every time – I found it really useful using my smartphone gimbal as it allowed me to continue using it with an extra-long Micro USB cable and putting the PD in my pocket, allowing the gimbal to be powered constantly without the worry of it expelling its battery mid shot. Yes, it could have more output ports but given how quickly it recharges a compatible device – I think two is just fine. If you need more then there are numerous other power banks more suitable. It is also quite hefty but given its large capacity this is expected. Whether this is worth the £49.99 asking price is entirely down to you – everyone has differing budgets and therefore it would be unfair of me to assume based on just my opinion. However, as a reviewer I highly recommend the 20000 PD as it is an excellent product on its own merit. Whilst it doesn’t come with a compatible wall charger, it is very inexpensive to purchase one (at the time of writing mine was £8.99 from eBay) and this allows Anker to keep costs down. I did reach out to them regarding this and they have informed me it is simply a case they do not have any PD Capable chargers for the UK market just yet. If you’re in the market for a new power bank, this comes highly recommended and would be perfect for anyone looking for fast, reliable charging on the go. Thank you, as stated in the review this is the first power bank I've tried in a long long time and I underestimated just how useful they can be! Nice review, also how is Xiaomi A1? Nice review, @Dave_West! Thanks for sharing! Great review, I went for the Powercore 26800 recently myself (review coming soon) and have a few 10000 within house for family. Great review! Very detailed. I think the wall charger not being included is because it is a portable charger. So charge it while you are at home and it will be good to go on the road. That is usually what I do. Looks like it charges really fast that is great and very important for travelers. Thank you again for the review! Does this Powecore give 22.5 or 30 watts of PD ? Instruction booklet online says 30W and Amazon says 22.5? Thanks! Xiaomi really nailed it with this one! How do you like the A1? I hope it least for a long time though Android one. My Mi band 2 is working really good after over one year in use. I had a 20000 mAh Xiaomi portable charger but now it is broken. So I will change to Anker. But first I have to decide how much power I want. I wold really like to test this one out. I have tried just a few wall chargers and power banks and some of them discharged my iPad Pro 10.5 instead of charging it. I have some measuring capabilities, but don’t really have the cash as of now. Can anyone confirm if it can charge the iPad at 29W?